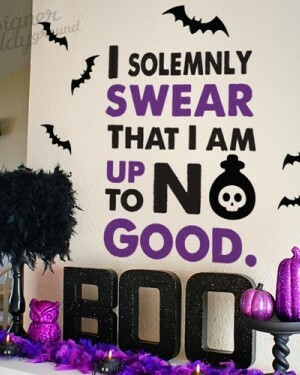 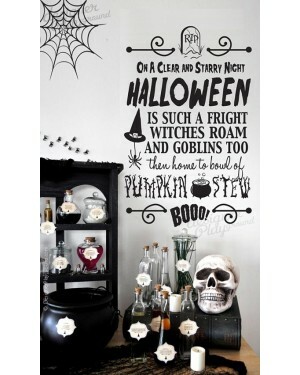 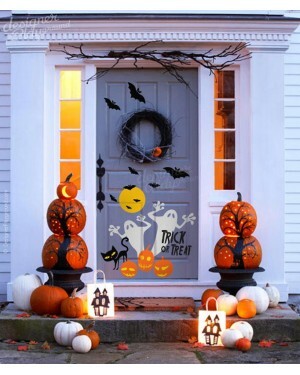 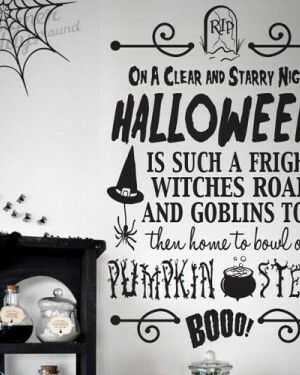 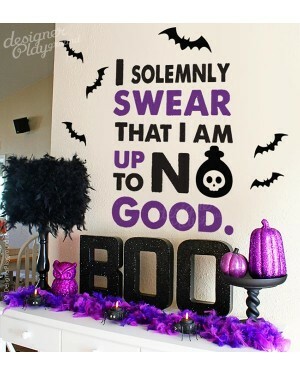 The bare trees not only best for wall decor but also look real cool as halloween decoration. 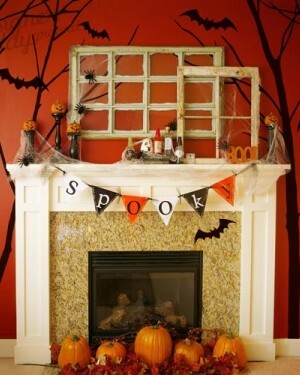 Bats are free to create creepy scene. 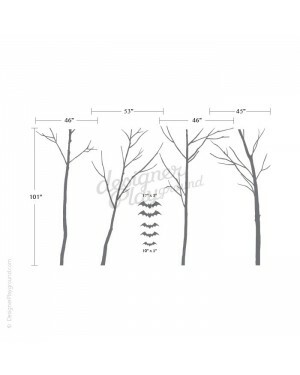 [ STANDARD SIZE ] > (whole visual approx) 23.4"w x 36"h [ WHATS INCLUDED ] > 4 trees > 5 free bats [ ADDITIONAL INFORMATION ] > This d..
Halloween errie faces sticker. 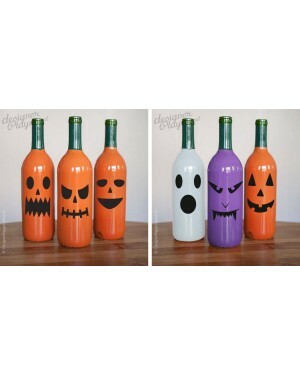 apply these faces to bottles, jars, plates, lamp shades or anywhere you can think of to create a monster! 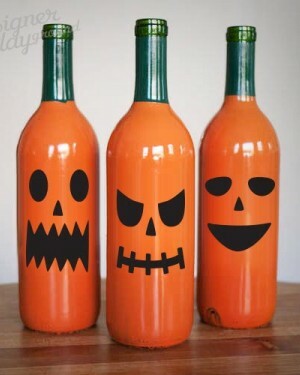 [ STANDARD SIZE ] > (each face label approx) 2.8"w x 3.2"h [ WHATS INCLUDED ] > 6 face label [ ADDITIONAL INFORMATION ] > This design..
Halloween bottle labels. 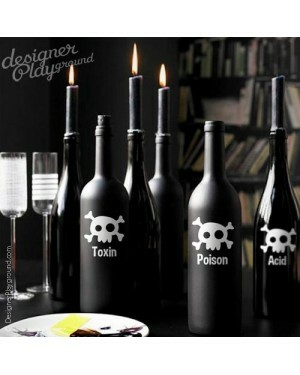 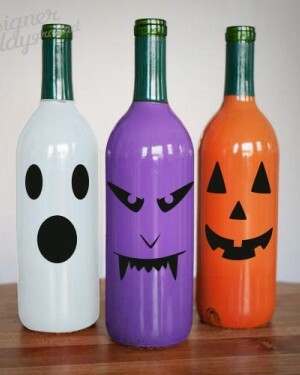 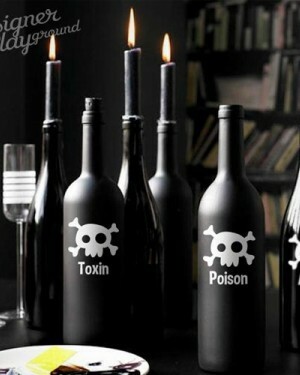 Scare your guest off with these labels, or dare them to drink! 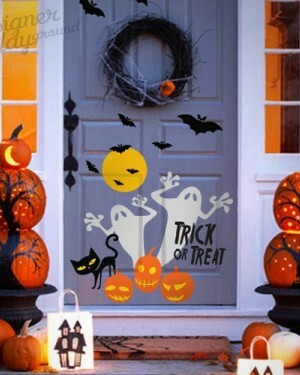 [ STANDARD SIZE ] > (each label approx) 2.8"w x 3.2"h [ WHATS INCLUDED ] > 6 labels [ ADDITIONAL INFORMATION ] > This design comes in 1 color option > The labels are made separt..